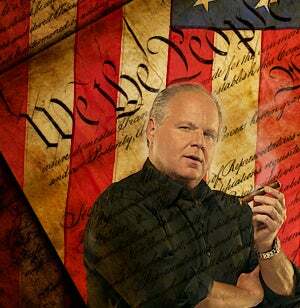 RUSH: Welcome to Open Line Friday, Katherine. CALLER: Rush, it’s such a privilege to talk with you. RUSH: Thank you very, very much. CALLER: I am calling from Michigan, and we are now the bottom of the 50 states for our economy. And because it’s tax, tax, tax. And then yesterday I talked with my sister in Scotland, and she read it in their paper over there how Michigan is doing so badly because of everything being taxed. RUSH: No kidding. They’re not publishing that story in this country. RUSH: Your sister live over there, or she just visiting? CALLER: No, she lives over there now. But she’d rather be here of course. RUSH: Well, then why isn’t she? Why is she over there? CALLER: Oh, because her husband won’t leave there. RUSH: Isn’t that always the case? CALLER: Yes. But, you know, if anybody wants to see what this country would be like run by the Democrats, they gotta just look at Michigan. RUSH: Sorry, look at Jimmy Carter. Look at the whole country back in the 1970s. I understand what you’re getting at, you got a good point there. But just go back to the 1970s with Jimmy Carter. He even did a speech about the national malaise. CALLER: That’s right. That’s right. RUSH: It was three decades of prosperity that followed Jimmy Carter with the election of Ronaldus Magnus, which is something the libs want to try to revise historically so that people will not make that association with Republicans — well, conservatives and prosperity. I was in Michigan. I went up there for WJR Rush to Excellence Tour and drove around, and I talked to some people, always the same complaint as yours, ‘We’re just being taxed here beyond our ability here to amass wealth and have any prosperity.’ It’s sort of like when tax revenue then falls short in the state of Michigan, they go out, ‘We gotta raise taxes again. We didn’t get enough last time.’ I think at the state level, it’s interesting to note how many states in this country are overflowing with cash. They’re running surpluses. The experts are stunned. They are shocked at how this can be. Experts are shocked and stunned at how well the US economy is doing tax receipt-wise, the deficit, $205 billion, it was going to be a monster that we were going to be eaten by and so forth, it was going to destroy us. It’s what I think makes it all the more important that people really pay attention to this stuff because you listen to the Democrats and they’re out there promising to get rid of the Bush tax cuts, they’re promising to get rid of all the things that have created more revenue to the government than they could of dream of having and people say, ‘Well, isn’t that what they want?’ Well, they’ll borrow it first. What they want more, folks, is control over your life, remember, they’re liberals. The evidence is all over to see. Now Hillary wants to take over privately run preschools and have the state governments run them. Remember when Kerry was talking about the aftermath of the Vietnam War and people were put in reeducation camps? ‘They’ve done pretty well,’ Kerry said. Well, why do you think Hillary wants your four-year-old for? Liberals want your kids as soon as they can get ’em to start this liberal indoctrination, or think of it as reeducation. RUSH: Let’s just talk about the economy here for just a second. I just came across a piece published today at FinancialSense.com by Jeffrey Nyquist. It’s entitled, ‘The Coming Malaise.’ He said, ‘Remember President Carter’s 1979 Malaise Speech? Americans were losing faith in the country’s future, he said. They were closing the door on America’s past. President Carter wanted to turn things around. He warned that rising materialism would not ‘fill the emptiness of lives which have no confidence or purpose.’ He said it was a crisis of American spirit. In response to this crisis, Carter wanted the authority to ration gasoline, form an ‘energy mobilization board,’ create a bureaucracy to guarantee that we would ‘never use more foreign oil than we did in 1977,’ set oil import quotas and develop solar power. ‘These efforts will cost money,’ Carter explained, ‘a lot of money&hellip;.” Now, this was a genuine malaise. He was right. The country was dispirited, but it was because of him! Coming out of Watergate, he puts all these things out there. It was an absolute mess. It is not a mess today, but Democrats are trying to recreate the same mind-set. I’m taking a break from reading this story to you. Democrats are trying to create the same mind-set that existed in this country in 1970s in the midst of prosperity. Back during Carter’s days we had the ‘misery index’ to actually measure inflation and interest rates and they were both through the roof. It was genuine malaise. So he wants the authority to ration gasoline, Energy Mobilization Board, bureaucracy to guarantee we would never use more foreign oil than we did in 1977? I mean, you hear the libs recycle the same arguments today. Well… ‘The country rejected President Carter’s call, and subsequently enjoyed three decades of prosperity. Carter’s policy was rejected because the American people didn’t want a lower standard of living. They didn’t want to forfeit their economic freedom. The American people cling to material happiness with a ferocious animal cunning. They do not believe in giving up, or giving over to obstacles. They want a good life. Their materialism is fundamental, and so is their comfort. They will reject any politician who tells them bad news. They will reject any policy based on pessimism. This is the lesson of the 1970s, taught by’ Ronaldus Magnus, and he was exactly right, then. This is where people are worried today. The doom and gloom in the midst of prosperity seems to have captured the thoughts, the imagination of people, and they seem willing to embrace lamebrain ideas like global warming that will reduce their standard of living and their freedom. They seem to be, in large numbers, accepting the notion of the bad news that’s out there. Sure enough, Mr. Nyquist writes here: ‘What we are seeing today is reminiscent of the 1970s. First, there is dollar inflation, understated by government statistics. Then there is the stagnation in the U.S. economy. An old depressing pattern has appeared again. We see an American president discredited and the presidency weakened; an unpopular overseas military commitment; rising oil prices; increasing government regulation and higher taxes. We know what happened at the end of the 1970s. American weakness and malaise led to aggressive Communist moves in Africa, Latin America and Asia (Angola, Nicaragua and Afghanistan). Then came the humiliation of the Iran Hostage Crisis. The trauma of the 1970s ended with the appearance of’ Ronaldas Magnus ‘in the White House. ‘Weathering a severe recession with steady optimism,’ Ronaldas Magnus ‘shepherded the United States toward a period of sustained prosperity and apparent victory in the Cold War. As we look ahead to next year’s presidential race, however, we don’t see anyone resembling Ronald Reagan. The likely winner will be a Democrat and the Democrat philosophy isn’t the philosophy of Reagan. The Republican Party has been wounded by President Bush’s failed Iraq adventure. In recent days the polls show the three leading Democratic candidates beating the top Republican candidates….The Republican candidates haven’t found their footing. They haven’t found the right things to say. Attempting to mimic Reagan won’t work, because the public mood has shifted and the Democratic candidates can also mimic Reagan.’ In fact, as a little aside, I saw something in the news the other day about Barack Obama’s spokesman saying, ‘Reagan is our model. ‘I am the agent of change.’ Reagan is our model.’ Optimism, upbeat, that’s what Obama wants to be. That’s who his campaign model is; that’s what his manager said. Disbelief, I know, is coursing through your veins right now. I don’t think he’s pulling it off, but that’s their idea, and that’s how he hopes to be the agent of the change. Now, Mr. Nyquist says, ‘The United States is no longer a healthy republic. Perhaps I am alone in thinking that a monster has been growing inside America. It is the monster of political passion, misguided ideology and moral confusion. It is a monster born of a consumption culture whose intellectual and moral standards have been falling. There is every reason to believe that the political criminals of the future will pose as do-gooders.’ Well, they always do. ‘Their urge, however, will be to reduce the people to subjection while pillaging the economy. The clever demagogue knows how to divide and conquer. He creates and exploits the dividing line between rich and poor, black and white, immigrant and native. Listen carefully. Notice whether a presidential candidate appeals to goodness and justice or resentment and envy.’ Goodness and justice is… Well, Democrats have been doing this divide-and-conquer routine — pitting men against women; black against white; rich versus poor — for as long as I’ve been alive. There is a way to overcome it. Anyway, he says, ‘It is not a good thing when resentment and envy gain the upper hand in political discourse. Those who seek prosperity at other’s expense easily imagine that wealth is a matter of theft. Through the repetition of this theme, people may gradual come to accept an evil idea. If this idea hardens into a universal belief, the political arena can degenerate into gangsterism. The political cynicism of our time, in which all political leaders are rated as criminals, logically leads to the assumption that crime pays.’ There’s nothing really new about this. THE PRESIDENT: The world economy is strong and I happen to believe one of the main reasons why is because we remain strong, and my pledge to the American people is we will keep your taxes low to make sure the economy continues to remain strong, and we’ll be wise about how we spend your money here in Washington DC. I’ve submitted a budget that will be in balance by 2012, and I look forward to working with Congress to achieve that goal. RUSH: So CNN anchorette Heidi Collins after listening to the president’s comments, added these remarks. COLLINS: Some comments there from President Bush, directly after meeting with his economic advisors, and we should tell you that this meeting, uh, with his economic advisors, according to the White House, was not in response to, uh, yesterday’s great sell-off. The Dow Jones, uh, Industrial Average is down about 311 points as I’m sure you all well know. We are watching those numbers for you, down about two points now. DOBSON: — this was the seventh biggest point decline in stock market history, but it didn’t even rate in terms of a percentage decline in terms of the big losing days. The market was down about 2%, and that really puts things in perspective. RUSH: Unbelievable! We’ve got somebody here that wants to be Erin Burnett. Erin Burnett has a monopoly on getting the truth out about these kinds of things, and now here’s Mellody Dobson getting on the bandwagon. Unbelievable. A perspective that’s accurate was put forth on Good Morning America today! All right, let’s see. That’s it. That’s it. We don’t have a quote from Erin Burnett. You gotta get more Erin Burnett out there, Joe, on this program, otherwise Mellody Dobson is going to be stealing some thunder out there. RUSH: We’ve been playing economic sound bites. Mellody Dobson, ABC, put things in perspective today in the stock market, that day it lost, what, 300 points or whatever. It’s down again today some, but she put it in perspective. She said, hey, 2% drop, there’s nothing to be worried about here. This is a percentage basis. This is nothing compared. If it had fallen three or four hundred points when at 7200, it’s a bigger deal, but we’re at 14,000, it drops, don’t panic here. Unbelievable for the Drive-By Media to take a story that fits the action line of the economy’s falling apart because of George W. Bush. So I put out a call here to Joe who’s up there assembling the audio sound bites while Cookie is on maternity leave, and I said, ‘You can’t leave out Erin Burnett here, the Street Sweetie,’ and, lo and behold, she was on Scarborough’s show today on PMSNBC Morning Joe and she was reporting on the Dow Jones sell-off yesterday. This is what Erin Burnett said. BURNETT: I want to remind everybody of three things, three things that should show you that you shouldn’t be a lemming and run off the cliff. This is not an Armageddon-like situation. Here they are. We’re just 4% away from an all-time high for the market, just 4% from an all-time high. And even if we fell another 850 points, we’d still be all right, because if we fell another 850 points, that would be 10% off of the level we hit last week when we were on here with great fanfare yelling and screaming about 14,000 on the Dow. That’s just what we call a garden variety correction. So, hey, 850 points down today, and you should still be okay. RUSH: I am so happy she still has her job after the first time I praised her, now doing it again. I realize I keep doing this, same thing with Mellody Dobson. If the past is any indication, I am putting their careers at risk by citing their work, but it’s great to hear. It’s great to see that this kind of accurate, sensible, rational economic reporting is taking place out there. All right, you know something else, Mitt is out there hammering the Democrats every day. He is literally hammering them out there every day. Good for you, Mitt. One more thing, folks, this public cynicism about your kids’ future that some of you probably feel, remember, we were in a malaise during the Carter years because we were miserable. There was a genuine malaise. People are trying to talk you into being miserable today, and it’s not that difficult to do, with a daily pounding from the Drive-By Media. We had double-digit inflation, unemployment, Iran hostages, diminished world standing, we had it all back in the Carter seventies. So now we have Democrats hell-bent on telling you how miserable you are even though the economy is surprisingly strong, GDP at 3.4%, most recent figure. Carteresque inflation is nowhere in sight. The war is starting to go well. But yet they say the stock market’s imploding. That’s why we played these sound bites from these two economic reporters to put it all in perspective, because it’s not. Then you have a story in the San Francisco Chronicle, it’s actually a Washington Post story, but we got it from the Chronicle. Look at the headline here: ‘Car bomb tears up crowded market, killing at least 25 — Once-safe Baghdad neighborhood has seen surge in attacks.’ Now, come on. That headline is purposely written to confuse and to destroy the whole progress that’s gone on with the surge of new US troops to root out Al-Qaeda. There’s a surge in attacks because we are there, obviously. However, the BBC, amazingly, the most liberal news organization in the world outside of the new Iranian news agency, actually puts this in perspective. ‘During the seven-day period to July 25th, the number of violent deaths across the country of Iraq was 414, 219 less than the previous week. So the real picture is, just this week alone, violent deaths down across Iraq, coalition casualties are down, as was the number of Iraqi police who were killed. Although the number of civilians killed was higher than any other group, it was much lower than the toll of the previous week.’ Yet the Washington Post is treating everybody to the news that the surge is leading to a new surge in attacks and so forth. There are people out there in the millions who make this country work, and it’s to those people you appeal; it’s to those people that you try to inspire; it’s those people you thank; it’s those people you encourage. If you have a genuine belief in what I just said, that the people, average, ordinary Americans accomplishing extraordinary things, if you believe that that’s what makes the country work, and you run around and tell people this, cite the statistics, give them some hope — everybody needs leadership, there are very few self-starters out there — then you can write your own ticket. But the tendency in politics these days is to dwell on the negative, to get people frightened, because then you hope, if you take that tack, that they will eventually surrender some control over their lives to let you fix, as a politician, what you tell them is wrong. The worst thing can happen is that. People get up every day and wait for somebody else to make it right for them. We have class envy in this country, which has been exploited by Democrats for years and years and years. It’s brought about by people who are not doing well or not happy, looking around and seeing other people who are. Of course, they think it’s unfair, so a politician comes along, ‘I’m going to punish those people. I’m going to raise their taxes. I’m going to make it harder for them.’ People go, ‘Yeah, yeah, yeah.’ It doesn’t improve their lives any, but they get this satisfaction that those people are going to be gotten even with. The way that people ought to look at this is, ‘Wait a minute, I keep hearing how rotten this economy is, but look at what I see, this person or family doing well.’ It ought to show people it’s possible for everybody, not just for a select few. That’s been the magic, the miracle of this country, is that anybody who wants it can go out and take a stab at it, regardless what government obstacles are in the way. What’s so frustrating to me as I listen to any candidate from any party start campaigning for national office, presidency or what have you, to not even talk about any of this, when the lesson of two landslides in the 1980s is right there to be followed. You don’t have to fake it. You can be right in your optimism when you’re talking about the future of the United States.